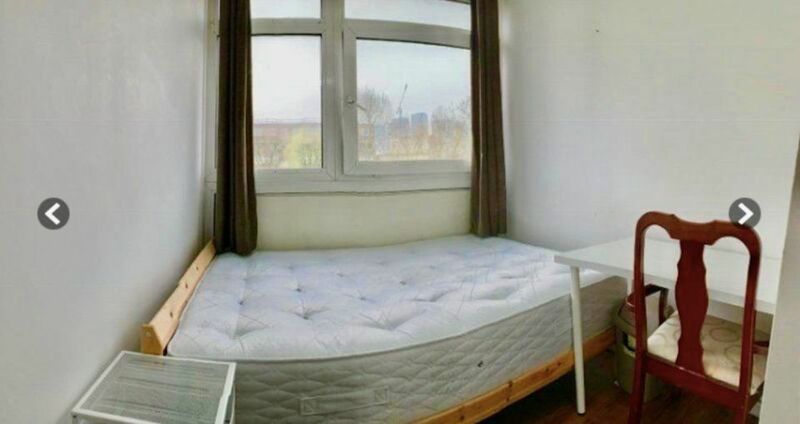 The ad for this room for rent has gone viral, but it might be hard to see why at first. It's a small room with bare white walls and a desk. 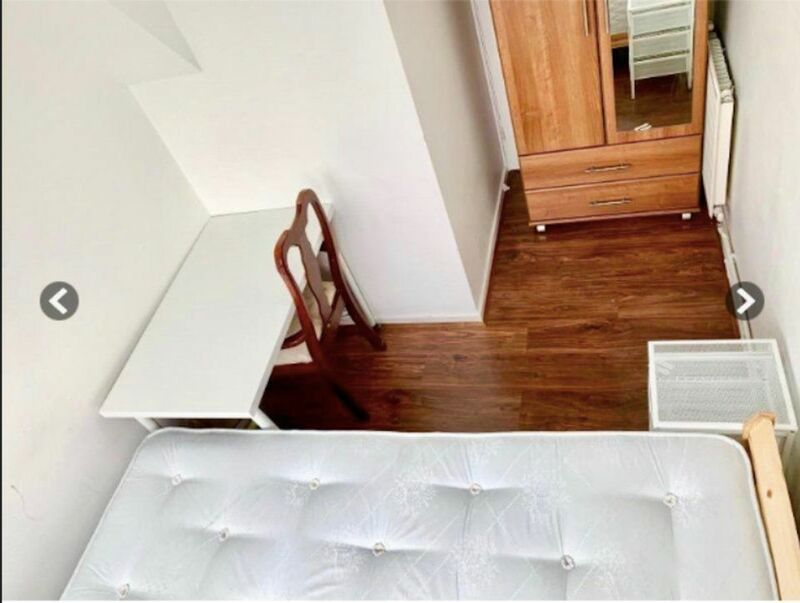 There's not a lot of space to speak of, the room is so tight that the bed touches both walls and the leg of the desk digs into the mattress. Still, 572 pounds (about $750) is a pretty cheap rate to live in London. But let's review the images, shall we? Um ... guys ... Where's the door? Whoever took the images had to stand on the bed to do so. We know that back wall has a window, the two side walls are solid, and the front wall has the wardrobe. Soooo... how does one get in and out? Based on the pictures, the room seems to be on at least the second floor so is there a ladder you're expected to climb? A secret tunnel under the desk or bed? Do you go through the wardrobe? Is this bedroom in Narnia? What is happening? The ideas were nearly endless, but they weren't all what we would call practical. Eagle-eyed readers may have picked up on a clue—the wardrobe appears to be on wheels. That means it's mobile and likely blocking the door in these images. So the already incredibly tiny room is actually even tinier than we had initially thought. Not only that, but the idea of having to roll your full closet around the room to get in or out is absolutely insane, impractical, unsafe and probably illegal. And kind of impossible given the space. 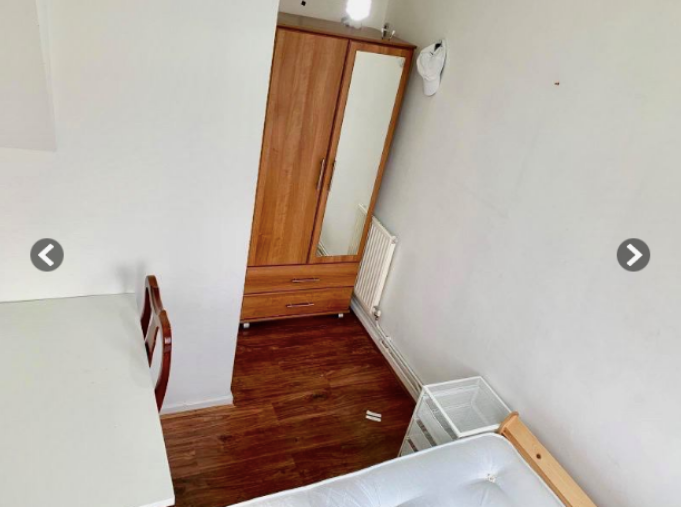 You'd literally have to put the desk on the bed or something! At the very least, it was enough to get the listing removed from the rental site it was posted on. Representatives from the site did confirm that after reviewing the listing, it was deemed against their standards and subsequently deleted. "That's one tiny space and as soon as our moderators spotted it, it was removed. It took us a while to work out if there was even a way in." Us too, Matt. Us too.